Purpose of this article, co-written by former Justice Department officials and distinguished federal lawyers, is to provide general guidance on what to do and not to do when your business is targeted in an ICE audit. Despite all precautions, businesses of any size can find themselves in the middle of an ICE audit. When this happens, caution is in order. Most audits are prompted by a complaint, not by the government’s own initiate. 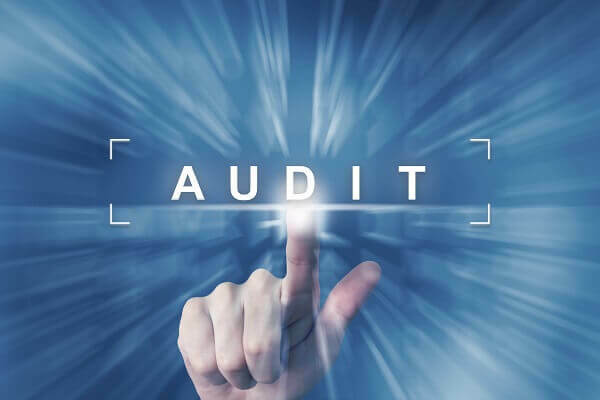 Disgruntled ex-employees, rejected candidates for employment, competitors, and other groups with an agenda to hurt you and your business are all known to cause intrusive audits and government scrutiny. Underestimating the force of such a complaint — regardless how ill-motivated and irrespective of how untrue the allegations are — is to first mistake to avoid in an ICE audit. Don’t Gamble with Your Freedom. Hire the Federal Defense Attorneys of Oberheiden, P.C. Free Consultations. Hundreds of Federal Criminal Investigations: No Charges. Federal court is not juvenile court. Just like you would not look for a dentist to operate on your back, you should not expect the best DUI lawyer in town to master the nuances and complexities of federal investigations. The federal justice system will give you only one chance and your selection of counsel to represent you in a federal audit can become the most important choice you ever made to protect your assets, your reputation, and your freedom. If you call Oberheiden, P.C. today, you will instantly experience what it means to be in good hands and to rely on proven and effective federal lawyers. From our experience at the Justice Department, lawyers at Oberheiden, P.C. have seen how quickly a simple audit can turn criminal. Be it because in the moment of panic a decision is made to hide, conceal, or misrepresent information to agents (obstruction of justice; making a false statement to a federal agent pursuant to 18 U.S.C. 1001) or be it because the managers tasked with the audit are overwhelmed due to lack of experience—various scenarios can lead to unnecessary escalation. Consequently, priority number one in every case in which Oberheiden, P.C. attorneys are involved is to avoid criminal charges. Experienced federal lawyers know how to mitigate or avoid the chances for criminal prosecution by entering into a dialogue with the government and by implementing important remedial measures (see Step 3) designed to demonstrate good faith and to negate the impression of bad intentions. Unknown to the general public, conversations and interviews with federal law enforcement (e.g. ICE investigators) are the equivalent of testifying in federal court. Everything you say must be 100% truthful or you risk a false statement charge. In other words, you cannot “defend” yourself by downplaying your involvement or representing, for example, that no illegal workers work at your company when that is not true. Similarly, you cannot withhold information that you deem disadvantageous because not disclosing material information is the same as positive lying. Recommendation: do not ever talk to law enforcement without your attorney’s approval. Whoever knowingly alters, destroys, conceals, covers up, falsifies etc. an entry in any record, document, or tangible object with the intent to impede, obstruct, or influence a federal investigation (e.g. ICE audit), shall be imprisoned not more than 20 years. Recommendation: Don’t destroy, hide, alter etc. bad text or email communications or documents. Fines under this section may be up to $250,000 for an individual or $500,000 for the company. This criminal statute requires actual knowledge that the employees were not properly authorized to work in the United States. See Martinez v. Creative Concepts, Inc., 2012 U.S. Dist. LEXIS 139044, No. (D. Nev. Sept. 27, 2012) at *11 2:12-CV-277 (affirming that actual knowledge is required for criminal sanctions to apply). What Is the Form I-9 Inspection and Investigation Process? Are there any I-9s missing? Who is in charge of HR? Who does the hiring process and how? Is the company using E-Verify? Nothing is more powerful and more compelling to show your good intent to comply with all applicable state and federal laws than a professionally crafted and diligently set up corporate compliance program. Because the government will not “x-ray” your brain to find out what your intent is or was, you have that proof in your own hands by being able to show true, documented efforts to do things right. Every business should have a “Code of Conduct” and “Employment Manual” and similar documents that outline and publish important policies and procedures, including rules relating to immigration status review. Here are some few excerpts from such manuals. Example 3: How to Secure a Worker’s Compliance? : “By my signature below, I acknowledge that I have been provided a copy of SAMPLE COMPANY’s Code of Business Conduct (the “Code”) and that I certify or re-certify: (a) that as a material component of my employment or association with SAMPLE COMPANY, it is my responsibility to fully read and hereafter comply with all Code legal and ethical standards. (b) my agreement to comply fully with the standards contained in the Code, all federal and state laws and regulations, all applicable international or foreign nation law and regulations and all other SAMPLE COMPANY’s policies and procedures. (c) that I understand that I have a continuing obligation to immediately report any actual or suspected Code violations (and any other concern) to any Company supervisor, manager or officer. (d) I am aware that violations of the Code, any federal, state, international or foreign nation law or regulation, or any other SAMPLE COMPANY’s policy and procedure may result in corrective action up to, and including, termination of employment or contractual relationship. (e) that I agree that it is my responsibility to fully read and hereafter comply with the policies and procedures contained in the Code, or any revision to the Code, and all other SAMPLE COMPANY’s policies and procedures. Speak to Real Federal Lawyers Today! Contact Oberheiden, P.C.